Home » Home Security » iSmartAlarm vs SimpliSafe 2: Which Will Be A Better Option? 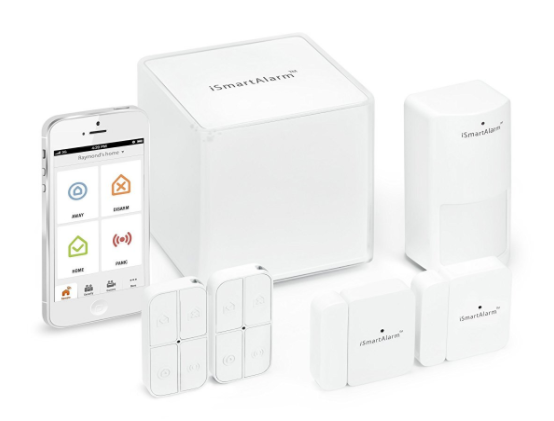 iSmartAlarm vs SimpliSafe 2: Which Will Be A Better Option? iSmartAlarm vs SimpliSafe 2 are the two most popular home security systems available in the market. To help you select the best one here we have the complete comparison. The crime rate is rapidly increasing over the past few years. The reason is increasing unemployment, increases taxes, and falling economies. When people do not find a reasonable source of income, only solution left for them is robbery and theft. In this situation, it has become important for the homeowners to keep their homes secure. The traditional locking systems are easy to break. Even robbers have high-tech means through which they can easily get into your home. The best way of protection is the introduction of the smart home security system. There are different types of home security systems available in the market and selecting of best one can be little tricky. iSmartAlarm vs SimpliSafe 2 both have interesting and high-tech features. The home security systems have been designed on the same model. Security systems can be used by the renters and homeowners. Both systems have their own benefits and drawbacks. However, you can easily take the system with you if you change home because there are no long-term contracts you have to sign. These systems do not need any special requirements and that is why they are preferred by the homeowners. iSmartAlarm Review | Best DIY Home Security System? The installation of iSmartAlarm and SimpliSafe 2 does not need any experts and you can easily take care of the installation yourself. The installation is very simple and you need a few DIY skills. The pre-programmed software is available in both systems. However, SimpliSafe 2 does not need an internet connection for installation. Whereas with iSmartAlarm you will need a strong internet connection. SimpliSafe 2 might be easier to setup but the system will remain the same even after several years. With iSmartAlarm, you will get regular updates for the system that will make enhance your security with every upgrade. When it comes to monitoring iSmartAlarm is the best home security system. All you have to do is pay for the cost of the product and you will get the following services. 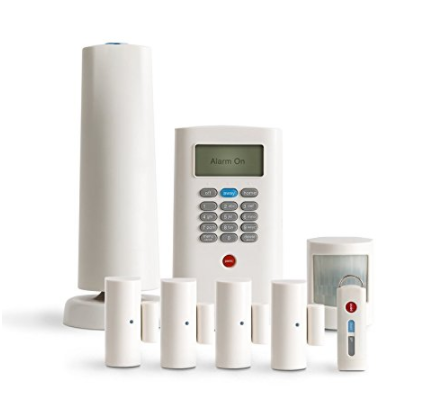 SimpliSafe 2 will not provide you will all these services. You will have to pay a monthly fee to get all the monitoring features. If you will not pay the fee you will only get a standalone alarm and siren just like a traditional system you have. When you will get the systems you will notice that both of them do not have a control panel. It might confuse you in the beginning but here what you have to look for. The iSmartAlarm comes with a controlling hub but it does not play an important role. You can use the 100 dB hub to arm and disarm the siren. The main control of the system will be your smartphone. Once it is connected to the system you can use your phone to enter different commands. There is no separate controller that can be used with the system. In case of SimpliSafe 2, it comes with a keypad that you can use to control the device. In case the keypad is damaged you can still use the system and change the settings by using a computer wizard. In the iSmartAlarm, you will have the package of notification once you pay for the equipment. All you have to do in connect the system to your smartphone and you will automatically get all the notifications on your smartphone. You will have to connect with the authorities on your own in case there has been an intruder. On the other hand, with SimpliSafe 2 there are no such services. If you want to get notifications on your mobile it is important that you pay a monthly fee. If you will not make the payment it will be your simple alarm system and what is happening behind you will never find out. With the iSmartAlarm, you will get the opportunity to connect the system with unlimited doors, windows, and home appliances. The company is working on the system to introduce more facilities. It is compatible with the security camera. It will help you to turn your home into a smart home and so you can enjoy a secure home without any problems. A benefit of having the SimpliSafe 2 is that it comes with a backup battery that will last for 2 days. However, you will not be notified when the battery is not working. In the iSmartAlarm, such services are not available. You will have to charge the system to assure that your home is properly protected. However, whenever the battery is going down you will receive the notification that will allow you to charge the system before it is out of power. iSmartAlarm Review 2018 | Best DIY Home Security System?